Zero teaser release highlights: Shah Rukh Khan’s Eid gift is here! Zero teaser: Here's what celebrities and fans said about the teaser of Shah Rukh Khan, Anushka Sharma and Katrina Kaif starrer Zero. Zero teaser: The Shah Rukh Khan, Anushka Sharma and Katrina Kaif starrer will release on December 21. Shah Rukh Khan’s experiments with his roles continue. After films like Ra.One and FAN, King Khan’s upcoming film Zero has him playing the role of a vertically challenged man. The teaser of this Aanand L Rai directorial dropped in an unexpected manner on Thursday, leaving fans excited. 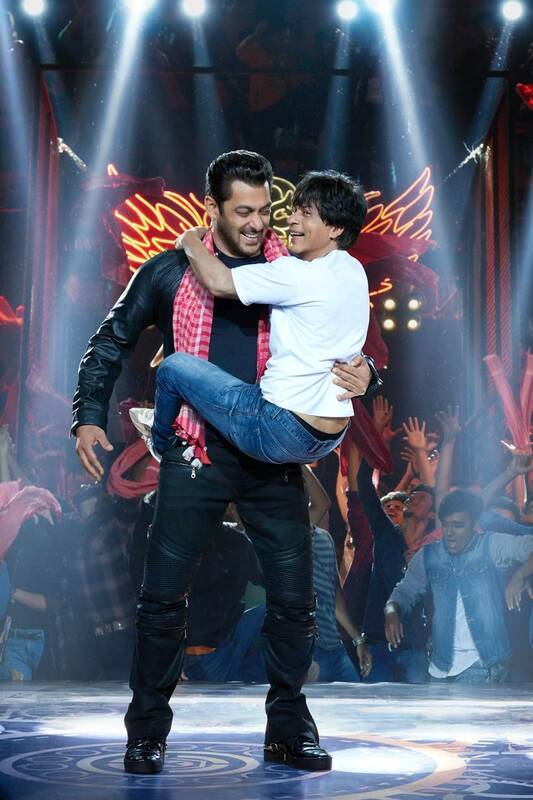 The teaser is loaded with a lot of fun banter between SRK and Salman Khan, who is making a guest appearance in Zero. Zero also stars Anushka Sharma and Katrina Kaif and has a horde of stars making a special appearance, including Sridevi, Rani Mukerji, Kajol, Karisma Kapoor and Alia Bhatt. Zero is slated to release on December 21. Zero teaser: Read our blog for all the updates about Zero, starring Shah Rukh Khan, Katrina Kaif and Anushka Sharma. https://t.co/eYFoE5ZeSR. Awesome teaser of #zero!! Trust you to come up with something so amazingly different n interesting @aanandlrai !!! And delight to see a new avatar @iamsrk !! N @BeingSalmanKhan , charming!!!!!! Ayushmann Khurrana wrote on Twitter: "#ZeroTeaser is phenomenal. The chemistry between the two superstars is so whistleworthy. Amazing shah sir (@iamsrk). I’m an SRKian for no reason. And the master of entertainment @aanandlrai sir. You’re a genius. You have the amazing knack of knowing the pulse of the audience." "That’s a smashing teaser..... Bhaijaans in the house.... @iamsrk & @BeingSalmanKhan dancing together in a @aanandlrai film.... और जीने को क्या चाहिए।..... Zero ही मेरा Hero है। #ZeroCelebratesEid #EidMubarak," Riteish Deshmukh said via Twitter. Surveen Chawla posted on Twitter: "What a way to bring in Eid!! @iamsrk n @BeingSalmanKhan together bring a double doze of celebration....And @anandrai177 sir ur a genius and a true master of the art!! Whistle whistle! !#zero"
Rahul Dev tweeted, "Yeh Eid hai Mubarak! When Raees met Dabangg! Makings of a humongous blockbuster @aanandlrai 👍 .. #ZeroCelebratesEid"
After watching the teaser, lyricist Irshad Kamil lauded Zero director Anand L Rai. He said, "Quality is not an act, it is a habit @aanandlrai You are proving this old saying again n again. Love u @iamsrk & @BeingSalmanKhan, Iss baar Eid sach mein meethi hai. #ZeroCelebratesEid @AnushkaSharma #KatrinaKaif #HumanshuSharma #AjayAtul #EidMubarak #JiyaraChaknachoor n Happy." Screenwriter Mushtaq Shiekh shared on Twitter, "The two supernova Khans @iamsrk & @BeingSalmanKhan come together & add to the Eid festivity. This is as big as it gets. Dazzling & definitive, this teaser steals your heart. Quite the Eidi from @aanandlrai. Blockbuster all the way!! #ZerocelebratesEid"
Sharing the teaser, Anushka Sharma wrote on Twitter, "Itna mazza aaya ki jiyara chaknachoor ho gaya! #ZeroCelebratesEid http://bit.ly/ZeroCelebratesEid … @iamsrk @BeingSalmanKhan @aanandlrai @RedChilliesEnt @cypplOfficial"
"#ZeroTeaserThisEid O.M.G!!!!! Stunner! @iamsrk I don’t have words. Just love! ❤️," tweeted Dear Zindagi director Gauri Shinde. Maneish Paul said, "This is just beyond brilliant @iamsrk sir .... all the best @aanandlrai sir...cant wait to watch this!!!" Indianexpress.com's Mimansa says, "As they say, big things come in small sizes, and Shah Rukh Khan is truly living upto this phrase in his latest film Zero. The actor plays a vertically challenged man in the Aanand L Rai directorial. The much-awaited film's teaser is loaded with a lot of funny moments between SRK and Salman Khan, who makes a cameo in the film. While fans have always loved to see these two Khans onscreen, the superstars are yet to do a full-length film together. However, their occasional appearances in each other's films have only shown their everlasting camaraderie, and something similar was visible in Zero's teaser too. While a lot of leaked pictures and speculations around its plot have been doing the rounds, we cannot wait for the trailer of Zero which should arrive soon, now that the teaser has left us so excited." "Super fun awaits us all, courtesy the "Aanand" filmmaker @aanandlrai :) See you soon bhai :) Whatte child like fun you bring to us all :) #ZeroTeaserThisEid," said Shubh Mangal Saavdhan director R S Prasanna via Twitter. Emraan Hashmi tweeted, "Dono bhaiiyo ne Eid special bana di... Super stuff @iamsrk and @beingsalmankhan !! 😁😁 #ZeroCelebratesEid." "When whole world fails to excite me then he can only make me smile, @iamsrk is looking super cute in new teaser of #Zero #ZeroCelebratesEid @BeingSalmanKhan adds star power to this celebration," said Coffee With D director Vishal Mishra. Shah Rukh Khan's Happy New Year co-star Sonu Sood said, "Don’t know if u believe in numerology or CHEIRO but I believe in my bro @iamsrk who’s a true HERO also set to break records with ZERO .enjoy the teaser #ZeroCelebratesEid http://bit.ly/ZeroCelebratesEid … big hug bhai. 🤗 looks fabbbb 🏆"
Shah Rukh Khan's wife Gauri Khan wrote on Twitter: "Bauua and @BeingSalmanKhan ... here to make your Eid special with this little teaser with a lot of heart! #ZeroCelebratesEid." The latest teaser of Shah Rukh Khan’s upcoming film Zero is out. The one-minute short video features the two Khans of Bollywood – Salman and Shah Rukh. In the teaser, King Khan cannot take his eyes off Dabangg Khan and Salman too is impressed by Baua Singh aka Shah Rukh as he changes the lives of people he meets. Together they have given their fans across the globe a perfect gift for the festival of Eid. Dhanush posted on Twitter, "The new teaser of #zero http://bit.ly/ZeroCelebratesEid … This is majestic @iamsrk .. @aanandlrai bhai :) YOU !! Big hug :) all the best. Looking forward." Swara Bhasker tweeted, "OMG! Is baar #Eid par #MeethaTezHai https://youtu.be/89aTDByJTz4 @iamsrk @aanandlrai @BeingSalmanKhan Whatte AMAZING #Eidee for #India ❤️❤️❤️"
Sharing the teaser, Shah Rukh Khan wrote, "Yeh lo..yeh lo @aanandlrai ki taraf se...Iss baar Eid Ka Meetha bahut Tez hai. To everyone from me and the whole team of Zero...Eid Mubarak. Love u all & hope u like it. #ZeroCelebratesEid"
“Like all Indians, I am also a festival lover. All the festivals in fact. The energy, vibrancy and bhaichaara the festivals bring make me joyful and happy. It’s with the same joy that we have made Zero. The film is truly a celebration of many things and this Eid we had the opportunity to celebrate this day with the two Khans who have given us so many reasons to smile over the decades. Honestly for me, more than a teaser or a glimpse of the film, I just wanted to share this feeling with my audience. And for a director, his feeling is his film. I wish all a happy Eid and seek their best wishes,” said Zero director Aanand L Rai said in a statement. Red Chillies Entertainment and Colour Yellow Productions come together to bring Shah Ruk Khan starrer Zero, a story that celebrates life. Zero teaser release highlights: Shah Rukh Khan's Eid gift is here!